Proxima forms a compact block. The main part of the structure consists of 4 layers: front back walls and 2 frames made of MDF with different thickness. They form the inner part of the side, top and bottom walls. From the outside, sides and top are covered with leather. These elements have a double function: dampening of cabinet vibrations and are a decorative part of the unique design of Proxima. 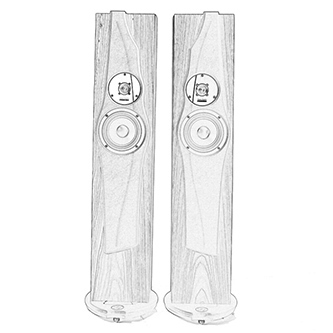 Loudspeaker proportions were defined very carefully – the ratio of height to width is not random and it is chosen to make Proxima optically seem smaller than in reality, and despite its height of 120cm, not to dominate, even in a small listening rooms. With the use of multiple screws and mass damping, the decorative panel has been fixed to the front wall. It is the support for the woofer and also the cover of the tweeter and TMI (Tweeter Multilayer Isolation) system. The unusual shape of the decorative panel was created over many days by drawing and multiple “improving” each of the curves, matching the correct proportions to achieve the desired effect. Every detail has been drawn and made by hand, without using a computer. The convex crease that runs through the front and side panels recalls “sail in the wind” and complements the unique Proxima design. Carefully executed cabinet shape with leather finishing components results in a slim, graceful loudspeaker of unusual finesse. It will certainly be a great addition for any room. The front panel is complemented by speaker grilles fixed with neodymium magnets. 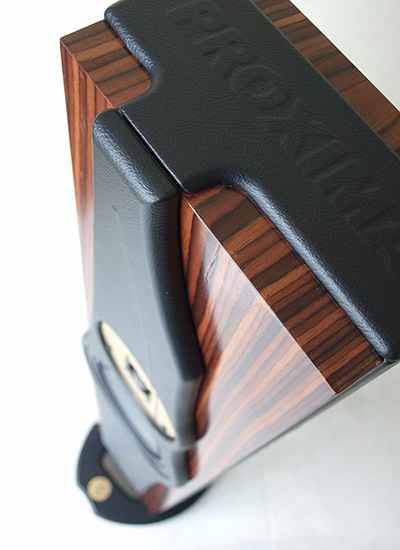 Proxima is a two-way closed box loudspeaker. Two carefully matched drivers are precisely mated to the other to form a single “voice”. The resulting sound is both natural and accurate while also being immensely entertaining and engaging. 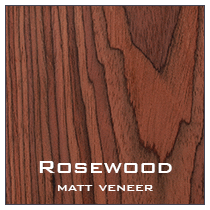 Natural tonality and eerie realism will be yours to savor upon every music selection played. Midwoofer has a 17cm polypropylene diaphragm, a large vented magnet system, inverted rubber surround and die-cast basket that was precisely tuned to compensate parasitic resonances which are created by vibrations of the diaphragm. This tuning – BAD (Basket Accurate Dampening) system – led to a significant reduction in the level of distortion and gave the most accurate midrange free from coloration. 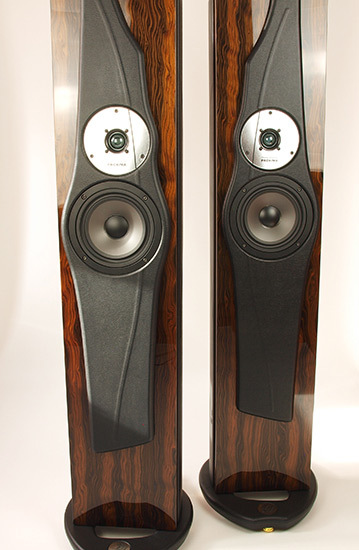 The tweeter is the original Divine Acoustics’ project, which was created specifically for the Proxima. It was built on the basis of a light dome with a diameter of 28mm, prepared with rare woven silk covered by the lacquer with memory of shape. Coil works in the surrounding chamber, which reduces the dome’s resonance and air pressure generated around it. Ferrite magnet system has been suppressed thanks to BAD system. Behind the magnet also another chamber has been built. It is designed to control and suppress vibrations of the magnetic system and is filled with a dampening mass – a combination of fractionated sand flooded with oil. To counteract the vibrations transmitted through the cabinet and as efficiently as possible to isolate the tweeter from them in the Divine Acoustics’ laboratory TMI (Tweeter Multilayer Isolation) system was created. 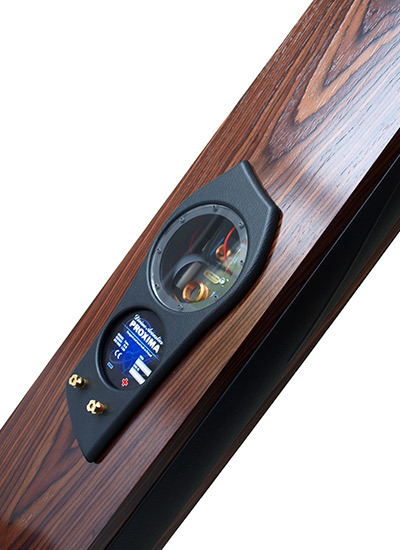 Connection of tweeter and the cabinet is followed by a set of gaskets of different thickness, hardness and damping coefficients. Such highly specific combination of materials significantly affects the “pacification” of the magnetic field oscillations and thus improves the response to reaching the micro signals to the coil. The result of all these procedures are very precise, natural and colored treble. To control the signal reaching from the amplifier, properly share and communicate it to the speakers, a high quality crossover is needed. 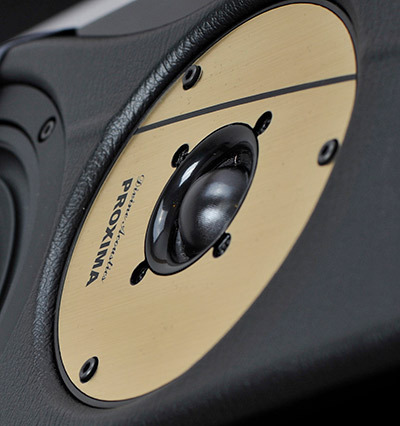 It is the “brain” of the speaker, which controls the diaphragms of transducers, creating its final sound quality. Designing of the Proxima crossover took over a year resulting a second order filters network with auxiliary systems for phase and impedance corrections. The crossover is built with use of excellent Jantzen Audio capacitors. Specially designed crossover filters allowed to use the RFpath (Resistors Free path) system – the complete elimination of forming a voltage divider resistors for the tweeter. 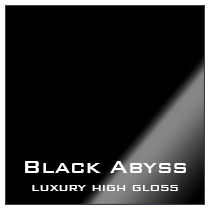 The result is an extremely transparent, open and detailed sound, rich in micro-signals in the upper midrange and treble. 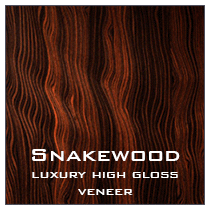 At the same time a balance between all tonal ranges has been assured. All crossover components are paired with a truly laboratory accuracy. OFC coils are made with the utmost attention to repeatability, are carefully weighed and measured. Geometric layout of parts on the board is subjected to the SGP system – a Single Ground Point for the entire electrical system. To keep the overall repeatability and the highest quality of hand-mounted crossovers, more than 30 measurement points have been selected. 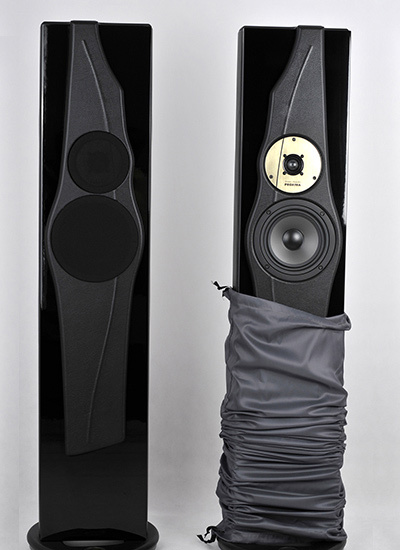 Two way, closed box speaker, multilayer cabinet designed in CRCdesign system standing on multilayer plinth on gilded spikes. TMI system for the tweeter. Tweeter: 28mm (1,25in) silk dome with ferrofluid cooling, two dampening chambers construction, BAD system with mineral & oil dampening. Midwoofer: 17cm (6,5in) polypropylene diaphragm with reversed rubber surround, die-cast basket with BAD system, vented magnet system. SGP and RFpath systems, well-matched, time/phase coherent 2nd order filters optimised for linear impedance and easiness of drive by amplifier. 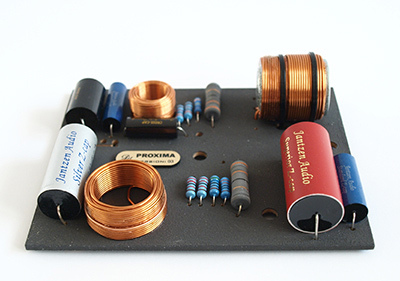 High quality components: foil capacitors, sintered OFC copper coils, metalized non-inductive resistors. PBfree connections and OFC copper internal wiring. Gold plated single connectors. 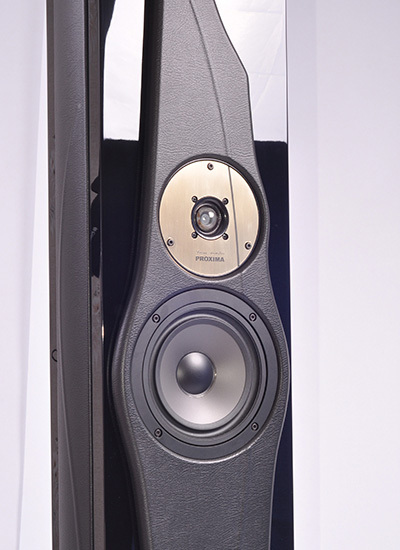 Proxima is a stereo floorstanding speaker suitable for listening rooms of 14 to 22 square meters. It is designed to sound best with high quality solid-state and vacuum tube amplification from 5-90 watts per channel. 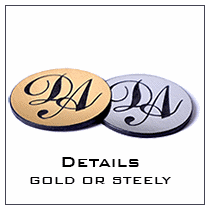 Before speakers will sound their best, between 100 and 500 hours of operating use is required. The time variation is a result of the amplifier type used and the listening volume. During the break-in time coils, suspensions of tansducers and crossover elements will optimize and adapt to each other and to the amplifier. 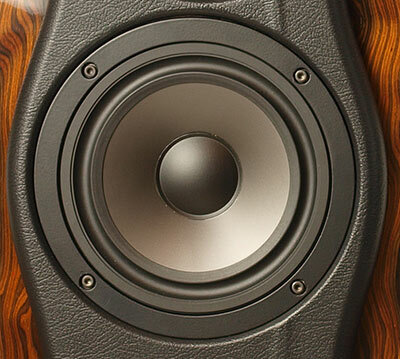 After that time, sound of the speakers should be smoother and more natural. 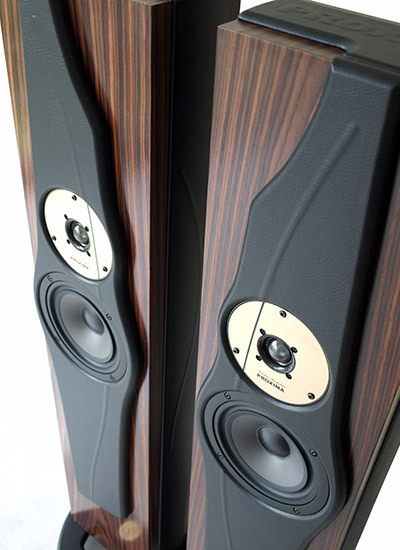 Speakers will also require a few burn-in hours after longer non-operating period (several weeks) or after connecting to another amplifier.